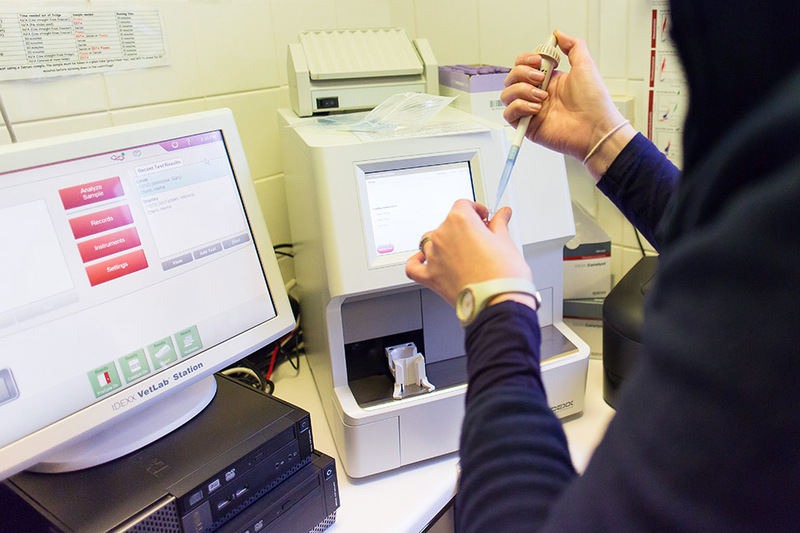 Our modern, clean vet facilities in Launceston are designed to treat your pets in the best way possible. Our comprehensive vet facilities include x-ray, dental and ultrasound equipment and our in-house laboratory help us diagnose problems quickly. We also have comfortable kennels for pets that need overnight treatment. Dental disease is unfortunately very common in our pets. 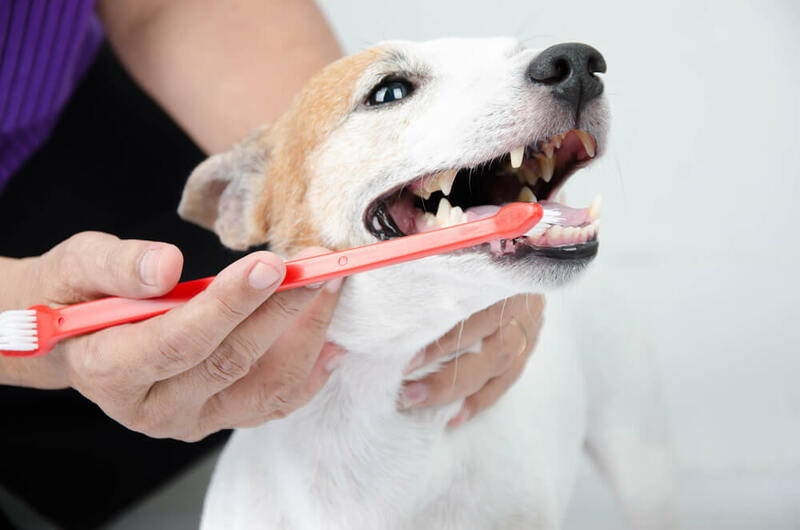 We believe that prevention is very important and our Nurses will be happy to discuss all aspects of veterinary dental hygiene with you in their dental check clinics. If dental disease is already present in your cat or dog’s mouth they may need a general anaesthetic to have the teeth cleaned and a full examination of the mouth. Once the animal is under anaesthetic the teeth will be checked, cleaned, scaled with an ultrasonic scaler and polished to leave a smooth healthy surface. If the teeth are found to be severely diseased or painful it may be necessary to extract them. In all cases we take radiographs to assess the roots of the teeth. It is important to remember that dental disease is not just restricted to dogs and cats. We commonly see dental problems in rabbits and other small mammals. These can often be attributed to a poor diet. Our Nurses will be happy to discuss correct feeding for your rabbit in their Rabbit Clinics. If you are concerned about your pets dental health please call 01566 772211 make an appointment to see one of our Vets. We have a digital x-ray machine capable of radiographing patients varying in size from hamsters to Irish Wolfhounds. 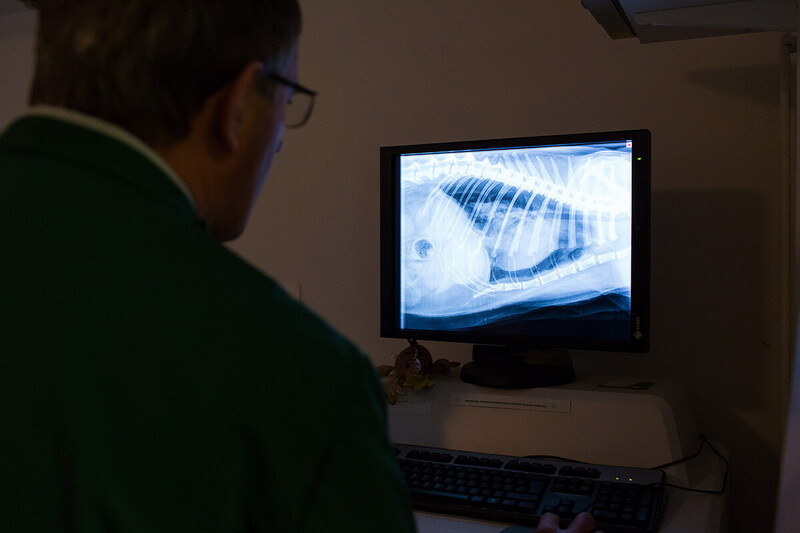 This modern digital system allows the vets to assess the radiographs almost immediately and if necessary the images can be emailed to specialist clinics for evaluation. As well as taking x-rays of sick and injured animals we also take x-rays for assessment under the Hip and Elbow Dysplasia schemes. We have separate kennel areas for dogs and cats to make their stay with us as stress-free as possible. 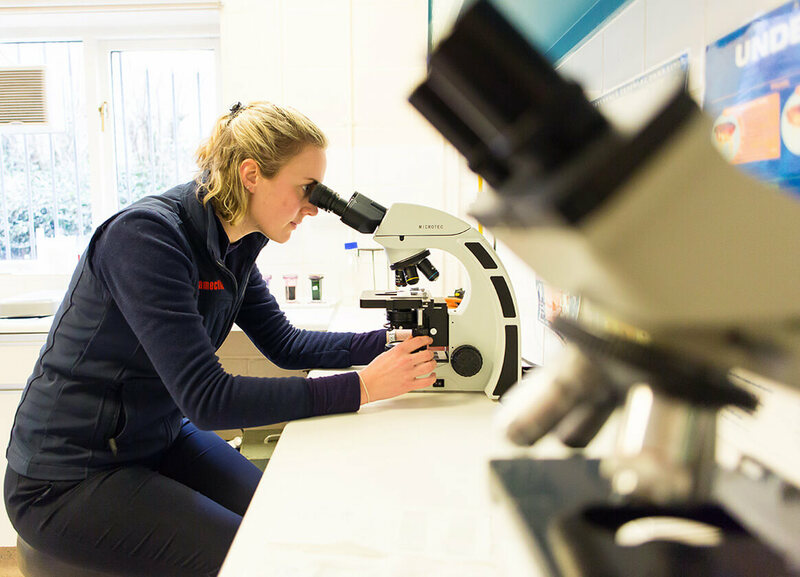 We have a well equipped laboratory on the premises and if more specialist tests are required, then samples may need to be sent to an external laboratory. In order to ensure the best possible service for your pets we have a daily courier collection (Monday-Friday). for specialised testing.